We are located Attleboro mass,we service all area airports with black town cars and Cadillac escalade our professional and punctual chauffeurs will provide safe reliable transportation to your chosen destination . Logan international airport is the busiest airport in Massachusetts.Rhode Islands T.F Green airport is located 15 minutes outside of providence Rhode Island. We service both airports. town car service is provided to all seaports and ferries in the area.Blackfalcon pier in Boston, block island ferry in point Judith Rhode Island.service to cape cod is also available to all points from Plymouth to Provincetown,Hyannis . 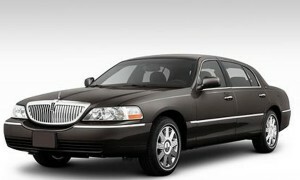 Woodshole in Falmouth..
Town cars can and are used for all types of events including prom – weddings – nights out. All of our vehicles are fully insured and meticulously maintained so our clients are as safe as possible.Our drivers are held to the highest of standards! we have all Massport permits which allows our clients to be picked up in the designated limousine areas.